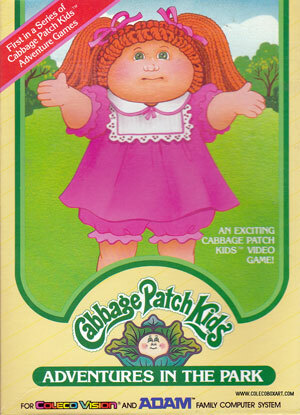 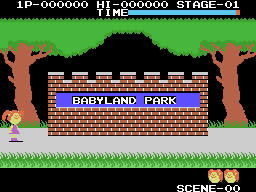 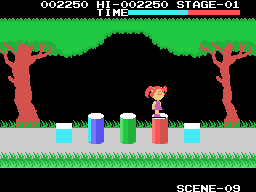 Your player is a Cabbage Patch kid with pigtails who is having a day at the park. 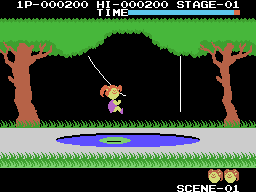 A day that includes jumping onto vines and leaping over holes and bouncing onto correct platforms. 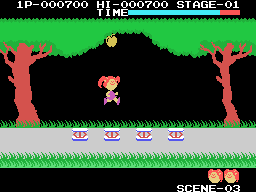 A misplaced jump will lose a life and additionally there are a few creatures such as bees who end the player's turn when touched.